Microsoft announced revenues of $20.89 billion for the quarter ending December 31, 2011, a 5% improvement over the same quarter a year earlier. Net profits were $6.62 billion, slightly down from $6.63 billion the same quarter last year. But the company saw solid growth accross most of its divisions and said it's pleased with their performance given the challenging market conditions, referencing the ongoing hard disk drive shortage due to a flood in Thailand. The company's Business Division -- responsible for products such as Office, SharePoint and Exchange -- grew revenue three percent to $6.28 billion. Microsoft said it has sold nearly 200 million licenses for its Office 2010 software during the past 18 months, exceeding their internal expectations. The Server & Tools unit posted revenues of $4.77 billion, up 11%, while Microsoft's money-losing online services division saw a 10% revenue increase to $784 million, driven in part by higher online advertising revenues from Bing. Meanwhile, the Entertainment & Devices Division saw $4.24 billion in revenue, up 15% compared to a year ago, with the Xbox 360 installed base now approaches 66 million consoles and 18 million Kinect sensors according to the company's figures. In contrast the Windows division, which has long been considered the company's biggest cash cows, saw a 6% decline in revenue to $4.74 billion. Microsoft said it has sold more than 525 million Windows 7 licenses since the operating system was launched in October 2009 and the company is already looking ahead to the next major update, Windows 8, which is widely expected to arrive towards the end of 2012. 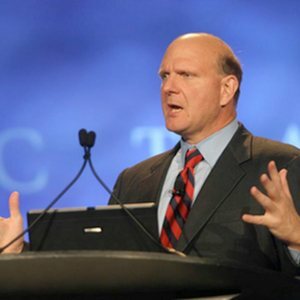 Peter Klein, chief financial officer at Microsoft, said the difficulties in the PC and Windows market will not clear overnight but remained confident that the company is well-positioned for growth going into 2012.